Our Children’s Ministry partners with parents of children ages birth through 5th grade to teach the Word of God in a nurturing and grace-filled environment. We have wonderfully dedicated teachers who give their time faithfully to teach the kids on a weekly basis. All SBC campuses use the same curriculum, which goes through the Bible from beginning to end over a two-year time period. Parents and children have the opportunity to take home interactive sheets that apply the weekly lesson to everyday life—making it real and personal. In addition to kid-friendly and age-appropriate lessons, the teachers lovingly continue to build on the strong foundation of God’s Word through music, singing, skits, video, and group involvement. Our SBC North Ridge kids are seeing God’s Word in action! Our goal is to give kids and their families valuable support in a loving atmosphere where they can connect with one another in relationships centered on Christ. It is our desire to teach kids and families how to live out God’s Word and make it real in their daily lives as they connect and grow here at Scottsdale Bible. If you are interested in dedicating your child at one of our upcoming Parent-Child Dedications, click here for more information. In the nursery, we provide care for infants, crawlers, walkers, and toddlers ages birth to 2 years of age. No reservations are needed. If you are a new family with us, please register your child at our Welcome Desk. Children are placed in classes according to their age and development; therefore, class adjustments may be made as they develop through the year. Parents will be notified when a class change is necessary. Children who turn three after September 1 will remain in the nursery until the next program year. Please register your child at our welcome desk if you’re new to SBC North Ridge. The age guidelines above are based on your child’s age prior to September 1. Discovery Kids is an exciting place for preschool to kindergarten-age kids! They will join in worship, learn from storytellers, watch amazing videos, and enjoy a visit from their puppet friends. All the while, your little ones will be on a fantastic, chronological journey through the Bible. If you’re new to SBC North Ridge, please register your child at our welcome desk. Each week, our 1st through 5th graders participate in worship and learning during their large group time. 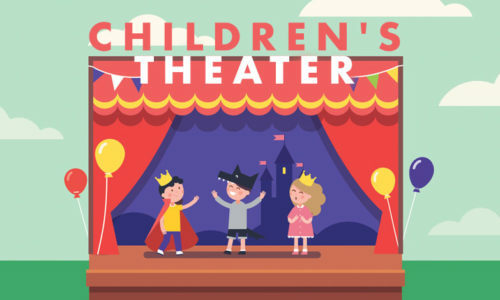 Drama, storytelling, and creative videos are used to help elementary kids go deeper into the Word of God as they follow a chronological and fascinating study of the Bible. All volunteers in our Children’s program are background and reference checked. They are also fully trained in emergency procedures and abide by the rule of three, ensuring each child is always with a group of three or more people. Security cameras throughout our buildings and gated playgrounds provide added security for your children while they are on our campuses.